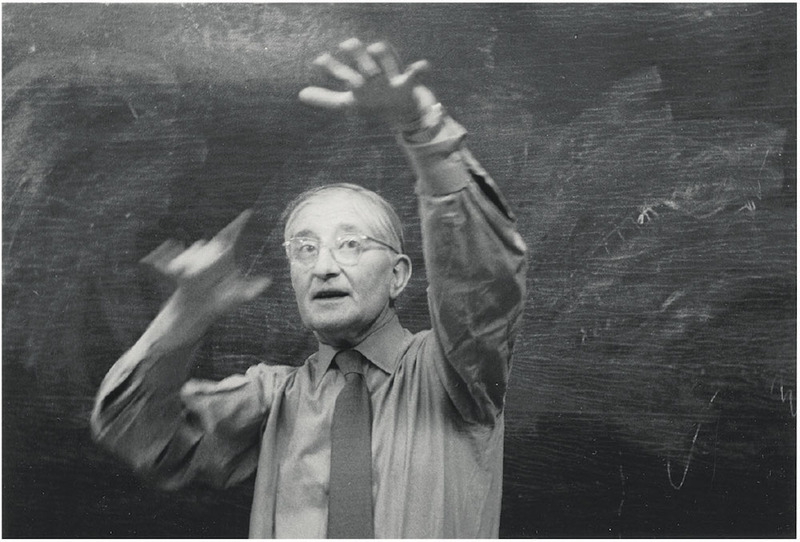 In the summer of 1950, while teaching a summer school at Harvard, Josef Albers made a painting he would call Homage to the Square. It was not to be the last of the name. By the time of his death a quarter of a century later, he would have painted more than two thousand Homages – roughly a hundred a year, or one every four days. In a single year, 1961, he painted more than two hundred of them. 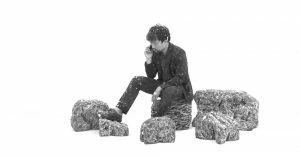 If, as Albers said, he destroyed more work than he kept, then the numbers will have been unknowably higher. It was a series that would define him as an artist, and a late flowering. In 1950, when he made his first Homage, Albers was sixty-two years old. He would carry on painting them until his death, in 1976, at the age of eighty-eight. Like Albers himself, the Homages were, problematically, both old and new. In terms of his oeuvre, they appear out of nowhere. 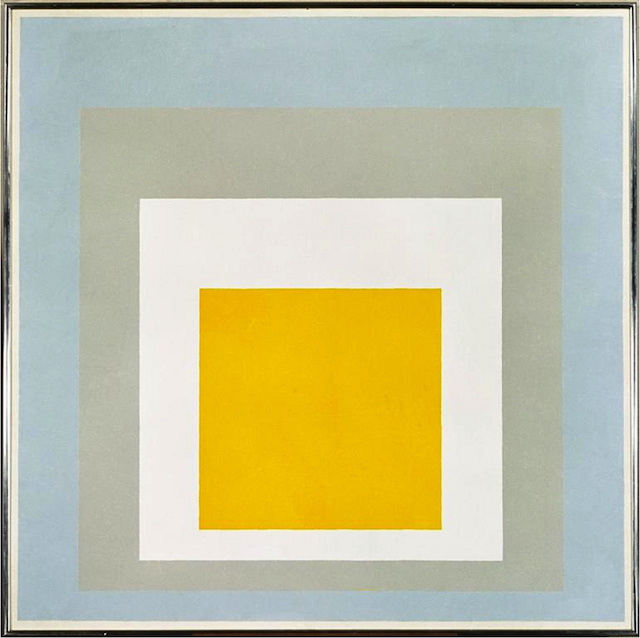 Albers had, since the mid-1920s, been making art that was both abstract and geometric. In the years immediately before 1950, this had increasingly been made in series – latterly, one of vaguely architectural-looking blocks of oil paint on hardboard, another of linear graphics etched on laminate. The first explored how colours worked in proportion and juxtaposition; the second, how the eye reads one etched angle as parallel to the picture plane but another as recessive to it. Between these series and the Homages, though, there is nothing – no visual stepping stones to the work that would occupy Albers for more than a quarter of a century; no false starts. This, of course, is not the whole story. There may have been no obvious antecedents to the Homages in Albers’ work, but there were many, and compelling, claims to their paternity elsewhere. It was impossible to make a painting called Homage to the Square in 1950 without conjuring up that ur-square of modernism, painted by Kasimir Malevich in 1915: the so-called Black Square. 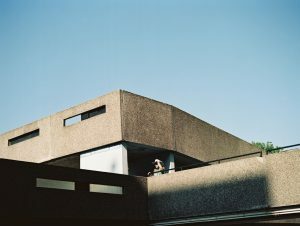 That same square had stalked the Bauhaus when Albers had studied and taught there in the thirteen years from 1920. Paul Klee, Albers’ colleague at the school, had painted squares; so, with concentric circles in them, had Wassily Kandinsky. ‘Three days in Weimar and one can never look at a square again,’ one critic had groaned. ‘Malevich invented the square a decade ago. How fortunate that he didn’t patent it.’. If, in 1950, these historical squares suggested that Albers’ Homages were re-fighting a battle fought long ago, then other more modern squares would be just as misleading. Paintings of squares had been common enough in 1920; by 1950, they were thin on the ground, particularly in America. 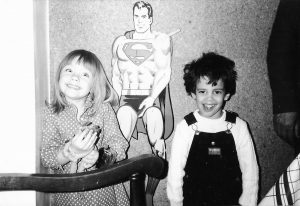 Fifteen years later, they had come into American vogue. The young Americans Frank Stella, Ellsworth Kelly and Barnett Newman, mustered under the crisp new flag of post-painterly abstraction, all painted squares of one sort or another. One of their band, Sol LeWitt, would be Albers’ keenest apostle. His twenty-part Wall Drawing 583 (1988) differs from the Homages in being painted on the wall rather than hung from it, but the work’s palette and interests – the way colours can be made to recede or advance in relation to each other – are an homage to the Homages. 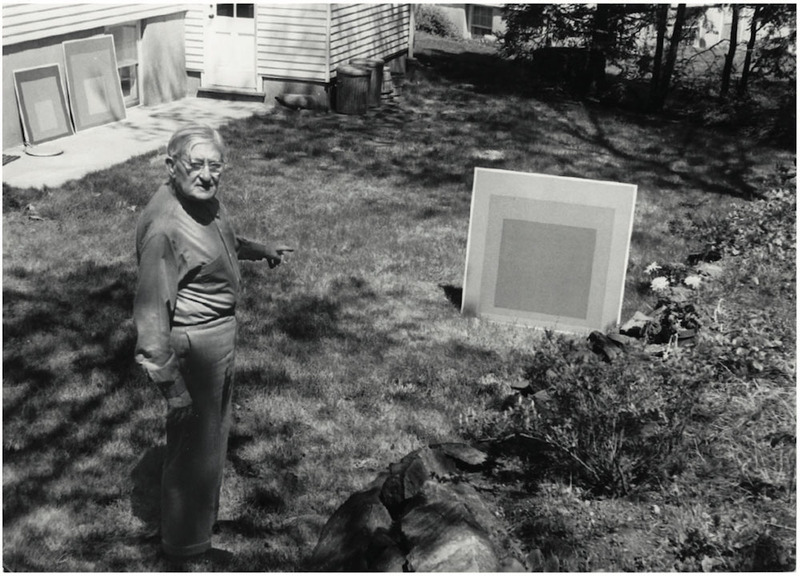 LeWitt made no bones about it: three decades after his mentor’s death, he co-titled Wall Drawing 1176, Seven Basic Colours and All Their Combinations in a Square within a Square: Wall Drawing for Josef Albers. Twenty years before that, LeWitt’s influential manifesto, ‘Paragraphs on Conceptual Art’, had been written with his future dedicatee in mind. 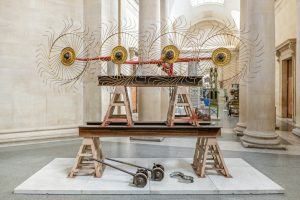 Its imagining of an art of ‘millions of variations’, in which ‘all of the planning and decisions are made beforehand’, made a low bow to the Homages; so, too, its call for the ‘eliminat the arbitrary, the capricious, and the subjective’ in art. And yet the most famous of LeWitt’s edicts, that ‘the idea becomes a machine that makes the art’, bears little relation to the reality of Josef Albers’ work. Le Witt was making an early fist at defining what he called ‘conceptual art’. There was no room in this for ‘the skill of the artist’, nor for ‘emotional kick’, both of which, quietly, are at the heart of the Homages to the Square. Given the push and pull of these conflicting histories, it is not surprising that it took a decade for Albers’ late, great series to begin to be understood. So, too, Albers himself. He was over seventy before he began to gain wide recognition as an artist, at least in part because, as a survivor of the Bauhaus, he had come to be viewed as an artefact. ‘I was in awe of him just for his living history,’ one wide-eyed Yale student would say. Albers was variously an oxymoron: an old man making new art that was old-fashioned or, possibly, worryingly modern; an artist whose work was European in its moderation and scale, but made in America; a contemporary and a forerunner at once. Taste and the art market are conservative things, placing a premium on clarity. Albers, in historical terms, was unclear. Even more so were his Homages to the Square.